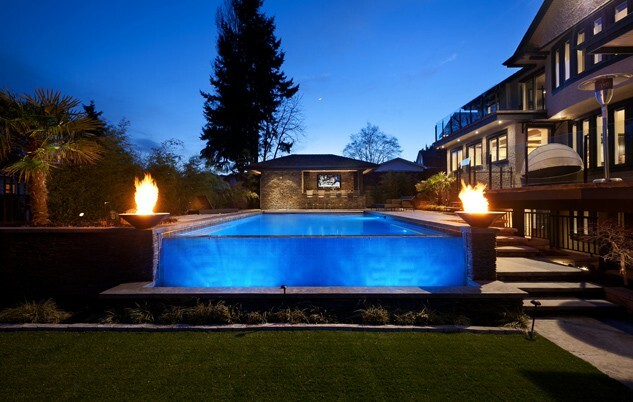 Fire features, such as fire pits, heat lamps, tiki torches, and built in fireplaces enhance your backyard and create a welcoming gathering spot for you, your family, and your guests. 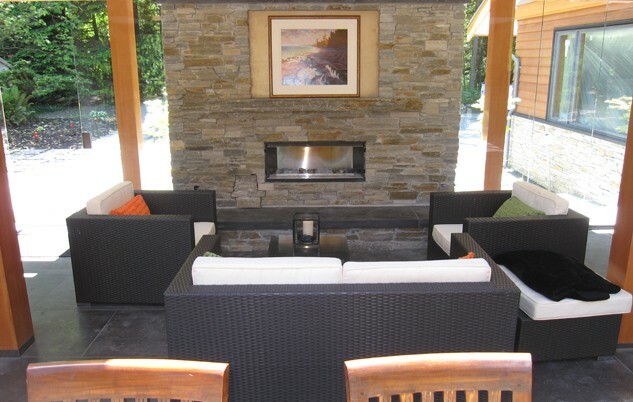 It’s an excellent way to create ambiance, warmth and conversation in your beautiful outdoor space. Using state-of-the-art systems, or old-fashioned low-tech approaches like log burning, we can build fire features to blend in with the surroundings and provide you with warmth on those chilly days when you prefer to stay outdoors. Azuro automated fire features are available in natural gas, propane and ethanol (bio fuel), and they are energy efficient and lasting because they are specially fitted and designed for outdoor use. An automated fire feature from Azuro utilizes clean burning fuels and may be used in most regions, even where log burning has been prohibited. 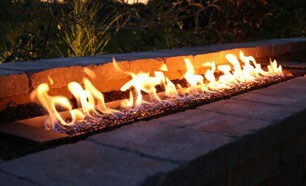 Add a beautifully designed fire pit, fireplace, tiki torch, or heat lamp to your backyard, so you never have to feel cold when outdoors enjoying your custom backyard.